Choosing the best institute for graduation is a very critical decision which students have to make in today’s world. Specially in the field of technology the number of Engineering colleges keeps increasing with time. 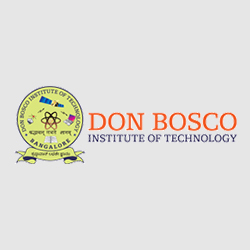 Don Bosco Institute of Technology, however, is a name which stands out amongst the list of colleges and is well known to impart quality education which meets the current industry standards. And we can help you get Direct admission in Don Bosco Institute of Technology, Bangalore. DBIT, Bangalore was established in the year 2001 which imparts education in the field of science and technology. Located in Kumbalgodu village, Don Bosco Institute of technology is built in a 36 acre campus and is affiliated to Visvesvaraya Technical University (VTU). The institute is approved by NBA, New Delhi and is a private university. Why to Take Admission in Don Bosco Institute Of Technology, Bangalore? Highly Qualified Faculty : DBIT has a team of very talented and learned individuals who implements a balanced, mix and match of theoretical and practical teaching. Wifi Enabled Campus and Hostels : Every corner of the DBIT campus including hostel is equipped with high speed internet service over wifi. Separate Hostel for Boys and Girls : Separate Hostel Facility is provided to both girls and boys. Well Equipped Library and Laboratories : The library in Don Bosco Institute of Technology provides all the latest tech journals and magazines along with academic curriculum books authored by well known writers for proper reference for students. The laboratories in DBIT are equipped with state of the art instruments and machinery . Gym : The campus of DBIT also features a gymnasium where students can workout and stay with under a trainer’s guidance. Music Room : Students in Don Bosco Institute of Technology are encouraged to follow their passion. A dedicated music Room is provided to students where they can work on their music skills with different musical instruments. Transport : Transport facility is provided to students coming from different parts of the city which is very convenient and helps students get a hassle free conveyance option. Cafeteria : DBIT cafeteria offers variety of food options to its students at affordable prices. Placement Opportunities at DBIT : Don Bosco Institute of Technology holds a placement record of 100% for eligible candidates. Moreover it has partnerships with companies like Infosys, Tech Mahindra, TCS, Hewlett Packard (HP), Larsen & Turbo Infotech, etc. Getting direct admission in Don Bosco Institute Of TEchnology, Bangalore is an opportunity to make your career bright. Students interested in pursuing Advanced Degree courses can choose from either the field of Business Administration or Masters of Technology. You may get in touch with us and we will help you get Direct Admission in Don Bosco Institute of Technology where you can learn, experiment and excel.